Liuchiuan is a not-for-profit blog for information that I’m gathering about Okinawans and Okinawa, their history and culture, past and present. It seeks to answer the question, Who are the Okinawans? I’ll be sharing information as I discover it, and I’ll be covering a wide range of topics in no set order. Guest posts are welcomed. Submissions should be related to Okinawa and Okinawans, and the preferred style is informal and conversational. Preference will be given to pieces that have not been previously published. See my email address below. A brief bio, one or two lines, and a photo are also encouraged. If you send me the address to a web photo (Facebook, Twitter, etc. ), I can capture it. Variations on the spelling of Ryukyu include: Luchu, Loochoo, Lewchew, Liukiu, and Riukiu. For the naming of this blog, I chose George H. Kerr’s spelling, Liuchiu, in “Sovereignty of the Liuchiu Islands,” Far Eastern Survey , 14.8 (25 Apr. 1945), pp. 96-100. Kerr’s Okinawa: The History of an Island People (Tuttle, 1958), is the definitive history (in English) of Okinawa. The complete first edition is available online here.1 A more contemporary English source is John Michael Purves’s The Ryukyu-Okinawa History & Culture Website. My interest in Okinawans and Okinawa is personal. 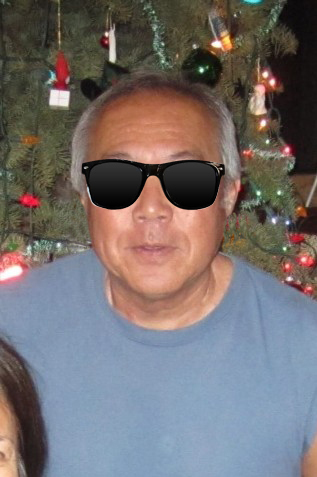 I’m sansei, 3rd generation Japanese-American. My paternal and maternal grandparents immigrated to Hawaii from Okinawa to work on plantations. Both my parents were born in Hawaii but went to Okinawa as children, for schooling, and returned to the U.S. as young adults. Thus, they were kibei, nisei (2nd generation) born in the U.S. but educated in Japan. After the attack on Pearl Harbor, my father was arrested and detained in the Sand Island stockade. A few months later, he, my mother, and my new-born sister were sent by ship to the mainland and by train to the Jerome, Arkansas, relocation center. Later, they were moved to the Tule Lake center in Northern California, where I was born toward the end of the war. After their release, they returned to Hawaii. This blog was started on 21 June 2013. The image in the blog header (top of the main page) is from an illustration of the Ryukyuan mission in Edo c. 1710. Great website. My grandparents were born in Okinawa, came to Hawaii and worked in the sugar plantation on the Big Island. They returned to Okinawa and died before the war. My father was born in Hawaii. I just visited Okinawa for the first time to find out more about my culture and my grandparents hometown. I plan to go back there again. Love Okinawa! Aloha, Charlene. My apologies for the delay in responding. For some reason, comments in the “about” page don’t show up in the list of “recent comments” in the sidebar. Thanks for the kind words. Seems like we share a lot in common re our grandparents and parents. I’ve never been to Okinawa and know very little about our relatives there. I never met my dad’s parents. My mom’s parents immigrated to Oahu from Okinawa, and she was born here. While her parents and siblings remained in Hawaii, she was sent to Okinawa for schooling. She returned as a young woman, before the war. As a kibei, she spoke very little English, so she and my dad, who was also kibei, were a good match. Thus, I grew up in a home where Japanese was the everyday language. Until they passed away, their preferred language was Nihongo. If you enjoy writing, please consider submitting articles for publication in this blog. Use your interests, explorations, and discoveries as a rough guide for topics. I’m sure others would be fascinated to read about your experiences and observations in Okinawa. Hi Natalie Natalia, and thank you for the kind words. Uchinanchu are spread out all over the world, and in the U.S., we’re in nearly every state. The web has been a godsend in bringing all of us together to explore and discuss our common heritage. When you have the time, please considering submitting an essay on your family’s history and your thoughts on being Okinawan. Take care. This is Ayano Uema’s ‘Satokibi Batake (sugarcane field)’ Uchinaaguchi full version. You posted a video of its shorter version. Somehow I can’t commemt there, so allow me to post the link here. Worldwide Uchinanchu Festival, 2016. I did not attend so this was great to view. All I can say is “I wish I was there”. Your site has been so useful as I research my family history. My family name is Kina and it looks like my great grandfather resided in Nakadomari-muri, Onna-magiri before he left to Mexico in 1904. I’m trying to find the origin or history of the Kina surname, but I haven’t been very successful. Do you have any recommendations that might be useful in my research?? P.S. There are two kanji for “Kina”: 喜名 and 喜納. The area associated with the first is Okinawa; with the second, Okinawa and Miyako. Could I ask what is is grandfather’s first name? Kanji if available? Hi Al – my great grandfather’s name was Kansui Kina (喜納 􏰉水). He travelled to Mexico with his brother Tadatoshi Kina (喜納 忠利). My grandfather was later born in Coahuila, Mexico but was given a Spanish surname as a result of the anti-Asian sentiment at the time. My great father’s name was Kansui Kina (喜納 􏰉水) and his brother’s name wasTadatoshi Kina (喜納 忠利). My grandfather was given a Spanish surname because of the anti-Asian sentiment at the time. His name was Geronimo Rodriguez. My great grandfather’s name didn’t copy correctly. Here’s the correct kanji Kansui Kina (喜納 観水). Hi Henry, if you send me your email, I can send you a little more information about your grandfather. Henry, if you give me your email, I can send you some additional information.